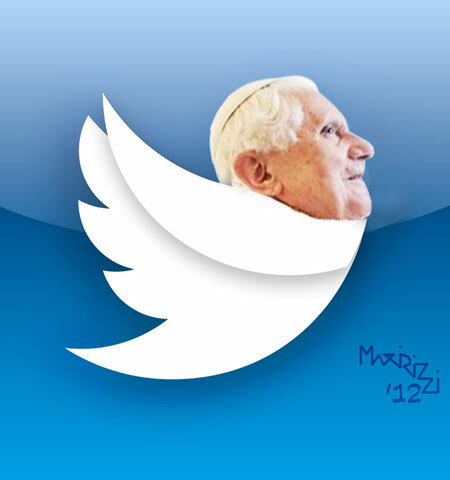 With seemingly the whole world gone a-Twitter about it over the last week, even as this is the night that rocks the Stateside church into a new epoch, of course, sunrise tomorrow brings the formal debut of a tweeting Pope. Launching his eight language feeds under the handle @Pontifex, Benedict XVI is expected to answer several questions from the tens of thousands submitted from around the world – and hit the "send" button on 140-character replies – at the close of the Wednesday Audience, which should come around noon in Rome (6am Eastern). 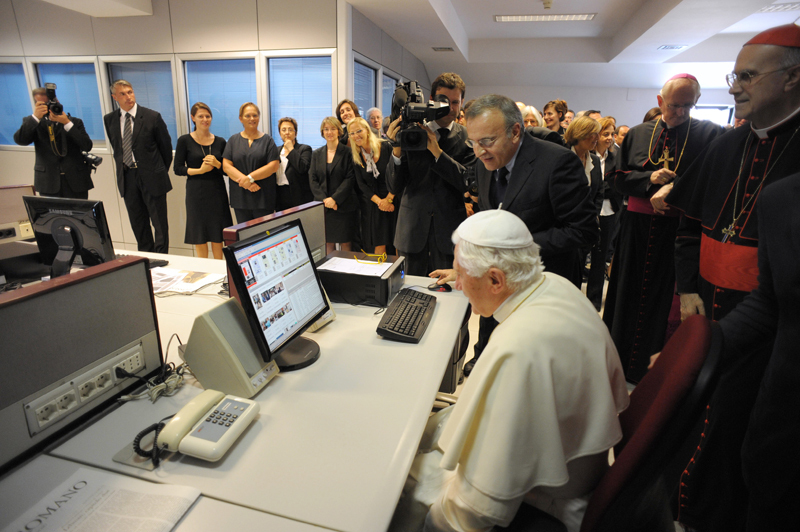 The Vatican's video-player will stream the event, which should be available on-demand shortly after its end. The venture heralded by a massive amount of interest in the global press, as of this Rollout Eve, the pontiff's combined feeds have amassed a total of just under a million followers. What much of the attention's missed, however, is the rationale behind the choice of the launch-date – the feast of a "native" Madonna who, by clothing herself in the culture of the people, catalyzed the most sweeping cycle of conversion in Christian history. Then again, this is just the latest instance of the patronal feast of the Americas being marked in Rome with a higher profile than it continues to have across much of the US church. What questions will be answered in the morning are anyone's guess... on the latter front, though, the message would already seem sent. Among other recent ecclesial entries into the Twitterverse, Madison's Bishop Robert Morlino (@BishopMorlino) and the already-blogging Archbishop Terence Prendergast SJ of Ottawa (@ArchTerentius) jumped in shortly after last week's Vatican announcement.